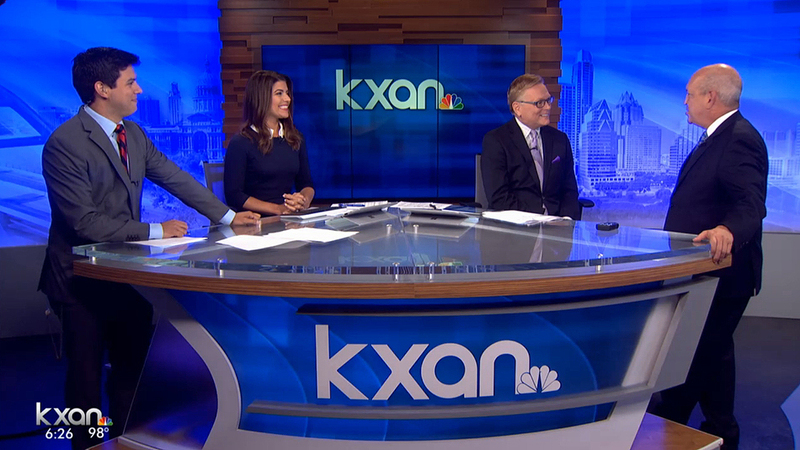 KXAN-TV, Media General’s NBC affiliate in Austin, launched its new set design during the noon newscast on Wednesday. From Devlin Design Group, the set features a 3×1 portrait video wall camera center, with a triangle-shaped anchor desk that mixes curves with wood tones and metallic elements. A backlit color-changing skyline graphic wraps around the set, with multiple stacked wood walls anchoring technology elements, including a 3×3 monitor wall to the right of the anchor desk. 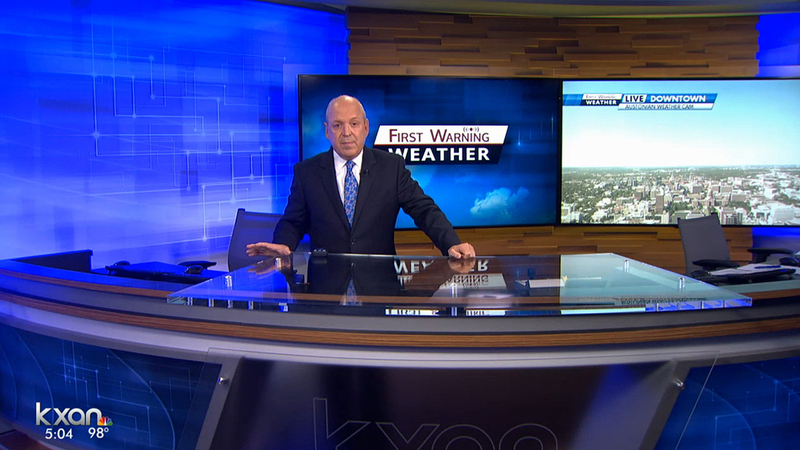 The weather center adds a high-tech pattern to the walls, with a plexi and graphic-fronted desk. 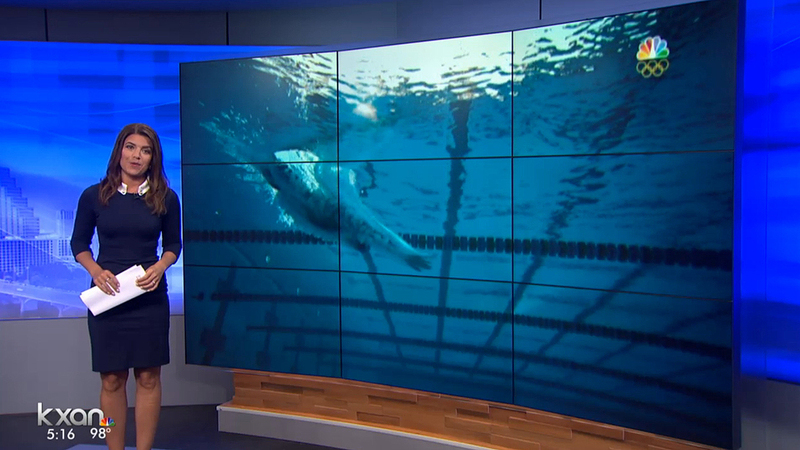 With the Olympics beginning Friday, the station took advantage of the event to upgrade and bring more technology to its storytelling. Kathy Mosher-Boule of Mobo Creative served as a project consultant with Devlin Design Group and KXAN-TV on the sets development.